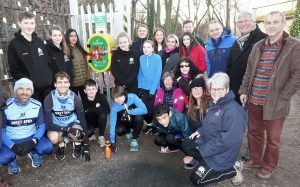 A rowing club, a running club, local councillors and a local heart charity have all teamed up to get a new community defibrillator in place in the Westcotes area of Leicester. It has been funded by the rowing club along with donations from running club the West End Runners – which meets at the rowing club on Wednesday evenings – and Westcotes ward community funding. Ward community funding is money set aside for local councillors to give to community projects. The defibrillator sits in an external box, which will keep it dry and protect it from the elements. This box has been funded by local charity the Joe Humphries Memorial Trust (JHMT). 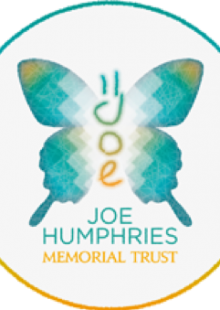 What is the Joe Humphries Memorial Trust? The JHMT was set up in memory of Joe Humphries, who died from sudden arrhythmic death syndrome (SADS) aged just 14 in October 2012, whilst out running near his family home in Rothley, Leicestershire. Since Joe’s death, the JHMT continues to raise awareness of SADS and sudden heart deaths. The charity provides free CPR training, helps to fund community defibrillators and campaigns for better understanding of SADS. “The Trust kindly provided the enclosure for the defib and has also provided us with CPR and defibrillator training, so that we now have a core of members who are sufficiently competent to deal with a cardiac arrest, should one arise. Leicester Rowing Club has more than 90 members, with ages ranging from 11 to mid-70s. The club was formed in 1882 and has been at its current location since the mid 1950s. “Whilst only a relatively small provincial rowing club, one of our members is currently in the Great Britain rowing team, having competed at Rio in the last Olympics, and one of our junior members is currently the Great Britain junior sculling champion for her age group, and hopes to be selected to row for Great Britain in the future. “Our annual regatta, this year held on 28 April, draws in rowers from as far afield as Bradford and Oxford, Boston and Birmingham. “Just as in sports events, where the time difference between winning and losing can be small, a rapid and effective response to a life-threatening eventsuch as a cardiac arrest is vital. Without prompt action, a cardiac arrest can be fatal. The skills required to save a life are not difficult and can be learnt quickly. JHMT is grateful that Leicester Rowing Club have taken this on board: not only have they had CPR training but they have also made their defibrillator fully accessible to the public at all times. Tags: Defibrillator, JHMT, Rowing and SADS.